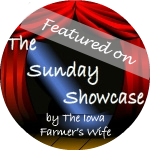 So glad you're back for another week of The Sunday Showcase! We've had an awesome week of Olympic activities and loved so many that were posted. Pop on over to Mom to 2 Posh Lil Divas to see her Olympic features this week. 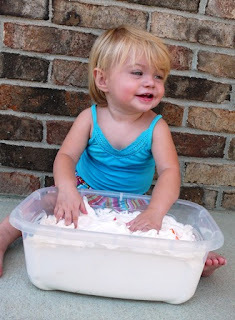 How seriously awesome is this Whipped Cream Sensory Bin from We Made That? Ummm I want to play with it! And look how much fun she is having! 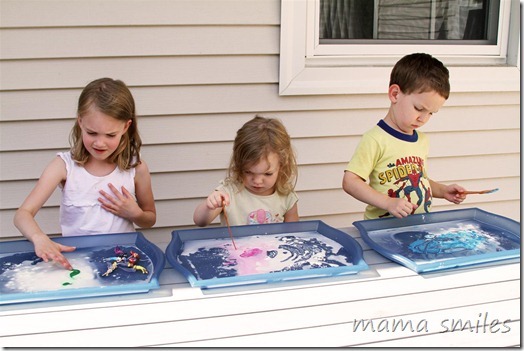 MamaSmiles created sensory trays for her kiddos using cornstarch, water and paint. Love the photos of her kiddos exploring the trays! This guest post on JDaniel4sMom discusses some great points of learning with sensory play. Love all the concepts covered in this post! 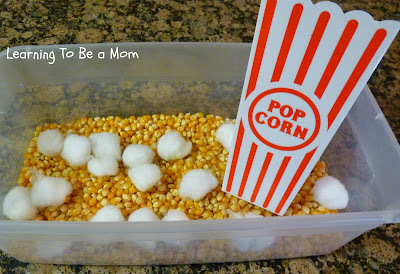 And finally, how great is this Popcorn Sensory Bin from Learning to be a Mom? I bet those kernels feel great and I love that she used cotton balls as popcorn. Too fun! We've been busy with Olympic crafts this week! Check out our the 3 activities we did this week: 3 Olympic Ring Crafts, Recycled Medals and a Soccer Jersey Match activity!